Dallas-Fort Worth’s hot single-family home market has fueled a new joint venture between two Dallas developers, who are working on two master planned communities that will add $775 million in real estate to North Texas. The two communities – Bozman Farms and ArrowBrooke will bring thousands of homes to the region and is part of a larger strategy of Dallas-based Siepiela Interests and Dallas based Taylor Duncan Interests. The duo recently formed a new joint venture, Allegiant Realty Partners, to quickly expand their projects in Texas. Since forming the venture, the developers have bought more than 2,200 acres of land in North Texas and in the Austin area with plans to build homes. “We have about five communities totaling more than 5,500 potential lots that we plan to develop in the next five to seven years” Larry Taylor, a partner at Taylor-Duncan Interests, told the Dallas Business Journal in an exclusive interview. Dallas-Fort Worth’s new home marker has been quite robust despite recent rains and labor challenges, said Ted Wilson, a principal with Dallas-based Residential Strategies, which tracks and measures North Texas’ single-family industry. “The marker drivers that shape the home construction market are robust, and the outlook for coming quarters remains favorable.” he said. And the new partnership, Allegiant Realty Partners, plans to bring some new home lots into the region. In North Texas, the partnership is expanding Bozman Farms, a master-planned community in Wylie south of Lake Lavon, by about 300 acres or about 800 single-family lots over the next five to seven years. At build-out, the project is expected to be worth $250 million. About 200 of those single-family lots are under construction. ArrowBrooke development in Denton County, which sits near U.S. 380 and F.M. 1385 north of the Savannah and Union Park master-planned communities. At build-out, the project is expected to be worth S525 million. Allegiant already has more than 300 home sites under construction. The ArrowBrooke community’s builders are Beazer Homes, Horizon Homes and History Maker. The Dallas-Fort Worth master-planned communities will market their homes to residents with prices ranging from $225,000 to S350,000. 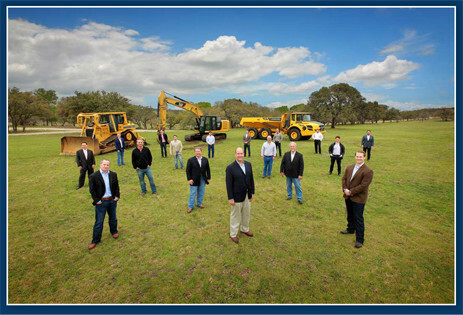 to deliver about 1.000 new home sites throughout its five Texas master-planned communities. “Dallas-Fort Worth and Austin are really exciting markets.” Taylor said. “We have the capital and we know what we are doing with the right builders.” Taylor said the partnership is looking for other master-planned community development opportunities through out Texas.